President Donald Trump pointed to historically low television ratings for the National Football League as protests during the U.S. national anthem continued ahead of the first Sunday games of the season. The president cited television ratings for the Sept. 6 NFL game. 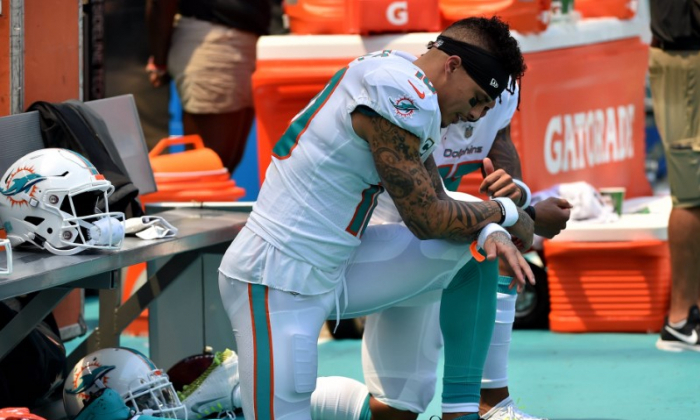 Miami Dolphins wide receivers Kenny Stills and Albert Wilson were the only players reported to have knelt before the eight early games kicked off on Sept. 9.